I'll be the first to admit that I have a problem: I'm utterly addicted to tea. The loose definition for "tea" is that of hot water poured over prepared leaves—all different preparations of the Camellia sinensis leaves, in fact. In order for something to strictly qualify as tea, it must contain the leaves of this plant. 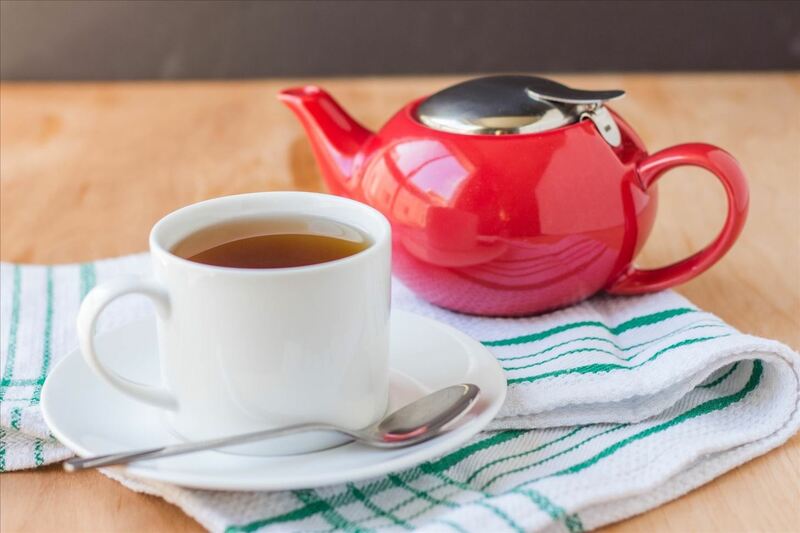 Anything that does not contain Camellia sinensis in some form is called an herbal tea instead; examples of this include rooibos tea, hibiscus tea, and all of these crazy Celestial Seasonings blends. Black peppercorn tea would fall under the latter category; due to its lack of leaves in the initial steeping process, it is an herbal tea. And while you can certainly brew any old tea bag with black peppercorn, I would argue that you'd miss out on the subtle flavors of the peppercorn cherry. It's also good to note that brewing black peppercorn tea is a delicious way to drink some of your daily value of Vitamin K, iron, and manganese. 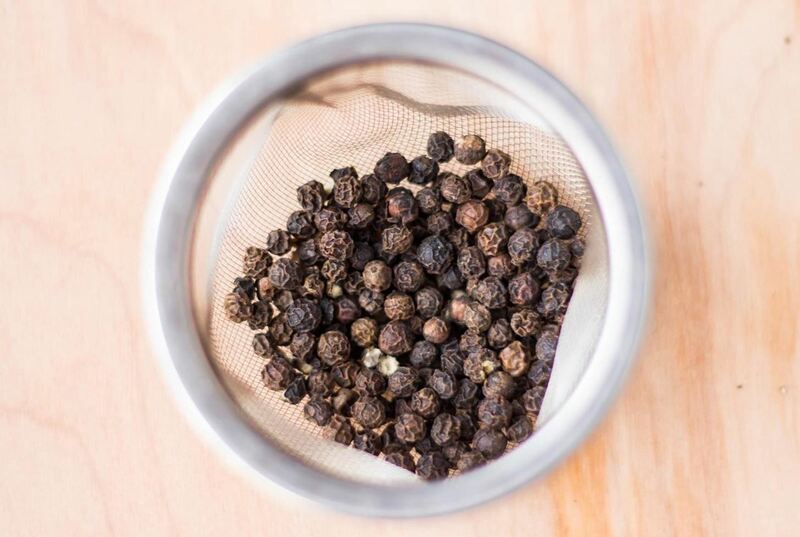 So try something new: steep black peppercorns alone in hot water, and enjoy the earthy, spiced flavor. My teapot holds 16 oz., or 2 cups of liquid; I used 1 Tbsp. of black peppercorns and found that this created an amber-colored tea that is very similar in appearance to jasmine tea. The longer past 5 minutes it steeped, the darker the tea became. The aroma of the tea itself was unchanged from black peppercorn in its regular form—I loved being able to breathe in the peppery scent without having to worry about sneezing! As for the flavor of the tea, it's extremely mild... surprisingly so, seeing that I used so much peppercorn to brew it. There's a hint of the spice that it's so well-known for, especially if you allow the tea to sit on your tongue, but nothing significantly different than the tingly spice of a chai tea. To be honest, I was a little apprehensive when trying it for the first time, but I needn't have worried: it's woodsy and a touch spicy, and the tingling of the capsaicin warms you from the initial taste to its eventual path down your throat and to the stomach. If you're not a fan of plain tea like I am, I'd recommend adding a touch of honey to sweeten the taste without creating a cloying sweetness. I can definitely see this peppercorn tea being especially soothing for a sore throat, especially with honey and ginger! When I first found out that black peppercorn could be steeped into a tea by itself, I worried about the strength of the flavor and whether the tea would be irritating to my stomach—to be fair, that's a lot of pepper at once. But as I mentioned before, this tea surprised me by being more delicious than I could have anticipated. 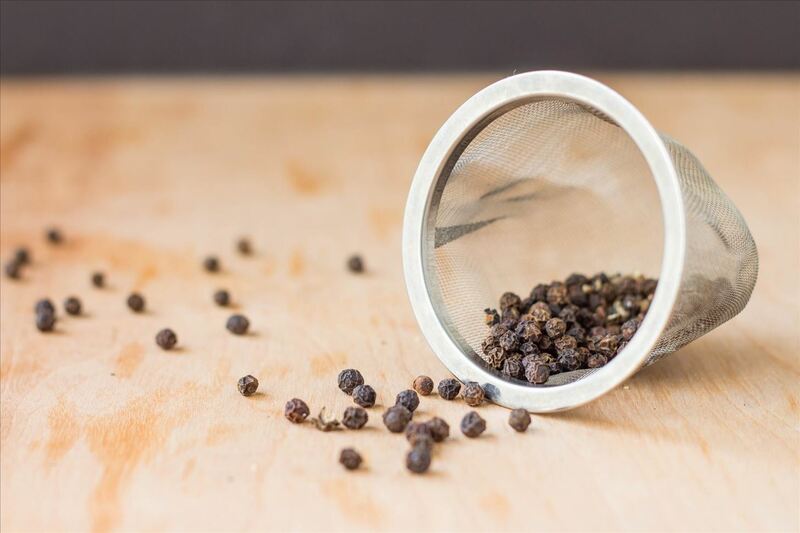 In retrospect, this isn't terribly surprising: black peppercorn, of course, is dried fruit from a flowering vine, and dried fruits and flowers are very popular components of herbal teas. 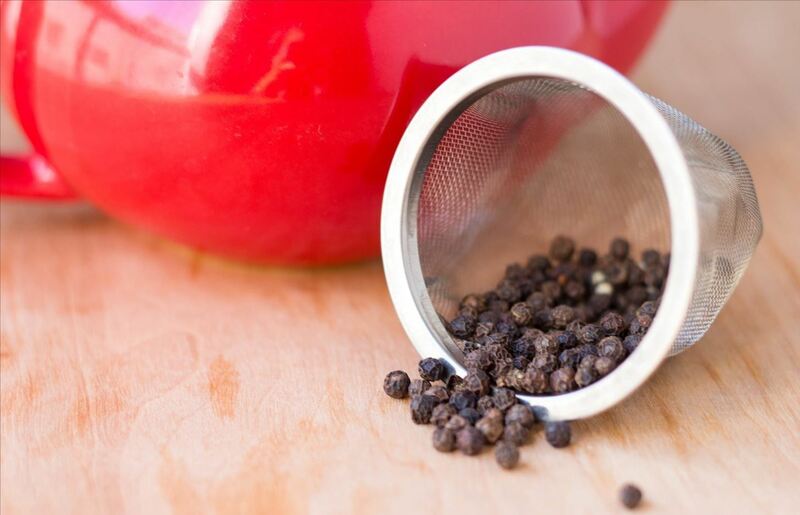 I do want to make a note, though, that I only used whole black peppercorns—both to keep the level of spiciness down, and to prevent pepper flakes in my liquid. I can't speak for how ground pepper would fare as a tea. If you do decide to give black peppercorn tea a try (and I certainly hope you do), let us know in the comments what you thought of the tea—and if you'd add anything else to it to enhance its flavor.